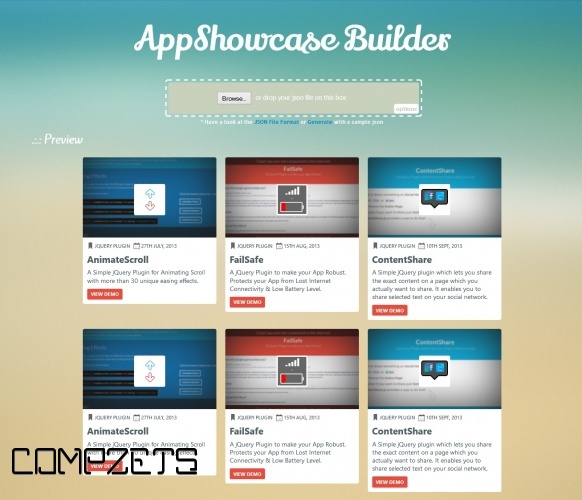 Creates an App Showcase for all your wonderful Stuffs in seconds. This tool builds the App Center in two different Trendy and Responsive themes, that is, a Light Theme and a Dark Theme. 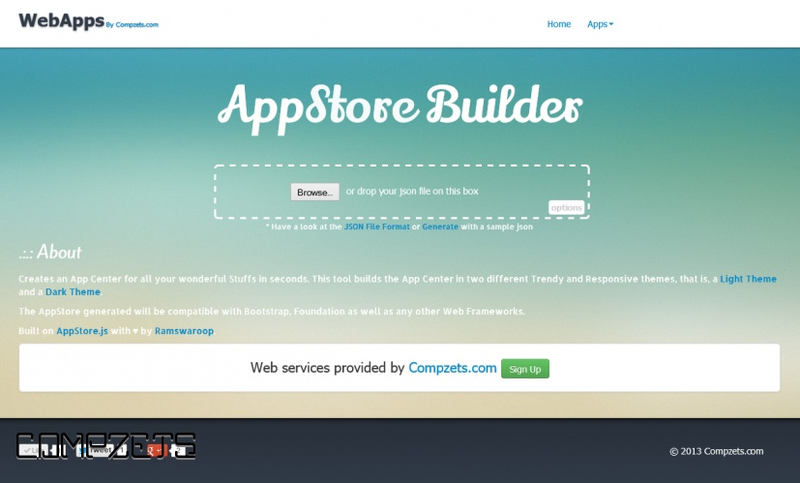 The AppStore generated will be compatible with Bootstrap, Foundation as well as any other Web Frameworks. Built on AppStore.js with ♥ by Ramswaroop.